The interest for citizens co-production of public services is increasing and many digital participatory platforms (DPPs) have been developed in order to improve participatory democratic processes. During the Sharing City Summit in Barcelona last November we discovered the DDDC, i.e. the Digital Democracy and Data Commons, a participatory platform to deliberate and construct alternative and more democratic forms of data governance, which will allow citizens to take back control over their personal data in the digital society and economy. 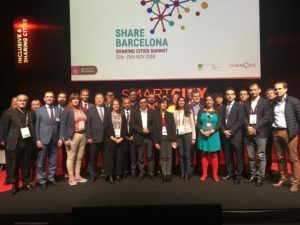 Barcelona is already known as a best practice in this field: the city and its metropolitan area constitute an exceptional ecosystem in terms of co-production of public policies and citizen science initiatives. The City Council has created an Office of Citizens Science and the Municipal Data Office, as well as the first Science Biennial that just took place in Barcelona (from 7th-11th February 2019). At the same time citizen science projects abound. In this frame Barcelona is famous to have launched in February 2016 Decidim.Barcelona (we decide), a project of the City Council to give citizens the opportunity to discuss proposals using an interface for group-discussions and comments. Decidim is indeed an online participatory-democracy platform that embodies a completely innovative approach. First of all it is entirely and collaboratively built as free software. As remembered by Xabier Barandiaran Decidim is a web environment that using the programming language Ruby on Rails allows anybody to create and configure a website platform to be used in the form of a political network for democratic participation. Any organization (local city council, association, university, NGO, neighbourhood or cooperative) can create mass processes for strategic planning, participatory budgeting, collaborative design for regulations, urban spaces and election processes. It also makes possible the match between traditional in-person democratic meetings (assemblies, council meetings, etc.) and the digital world (sending meeting invites, managing registrations, facilitating the publication of minutes, etc.). Moreover it enables the structuring of government bodies or assemblies (councils, boards, working groups), the convening of consultations, referendums or channelling citizen or member initiatives to trigger different decision making processes. 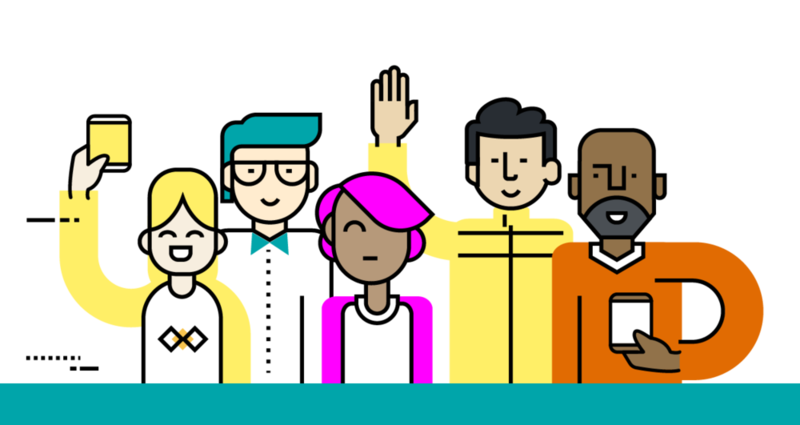 The official definition of Decidim is: a public-common’s, free and open, digital infrastructure for participatory democracy. Barandiaran remembers also that “Decidim was born in an institutional environment (that of Barcelona City Council), directly aiming at improving and enhancing the political and administrative impact of participatory democracy in the state (municipalities, local governments, etc.). But it also aims at empowering social processes as a platform for massive social coordination for collective action independently of public administrations. Anybody can copy, modify and install Decidim for its own needs, so Decidim is by no means reduced to public institutions”. 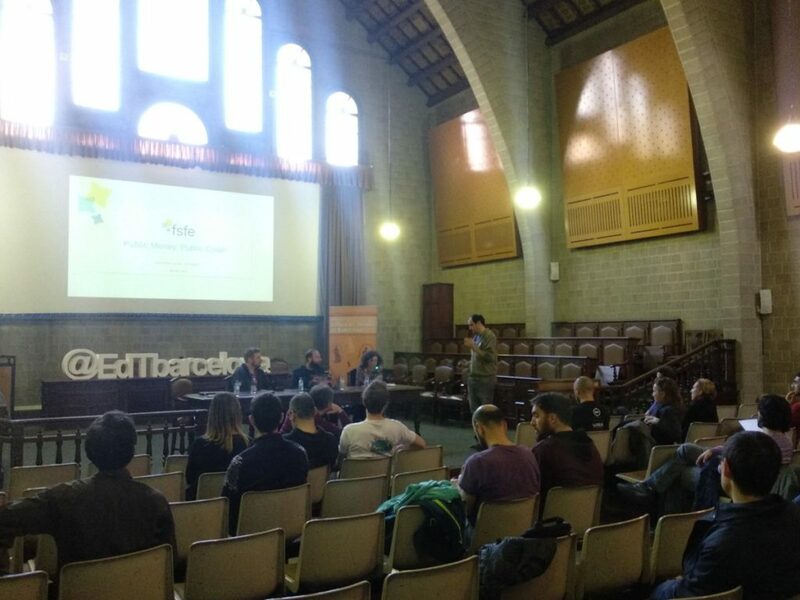 As of march 2018 www.decidim.barcelona had more than 28,000 registered participants, 1,288,999 page views, 290,520 visitors, 19 participatory processes, 821 public meetings channeled through the platform and 12,173 proposals, out of which over 8,923 have already become public policies grouped into 5,339 results whose execution level can be monitored by citizens. […] It comes to fill the gap of public and common’s platforms, providing an alternative to the way in which private platforms coordinate social action (mostly with profit-driven, data extraction and market oriented goals)”. But Decidim is more than a technological platform, it is a “technopolitical project” where legal, political, institutional, practical, social, educational, communicative, economic and epistemic codes merge together. There are mainly 3 levels: the political (focused on the democratic model that Decidim promotes and its impact on public policies and organizations), the technopolitical (focused on how the platform is designed, the mechanisms it embodies, and the way in which it is itself democratically designed), and the technical (focused on the conditions of production, operation and success of the project: the factory, collaborative mechanisms, licenses, etc.). 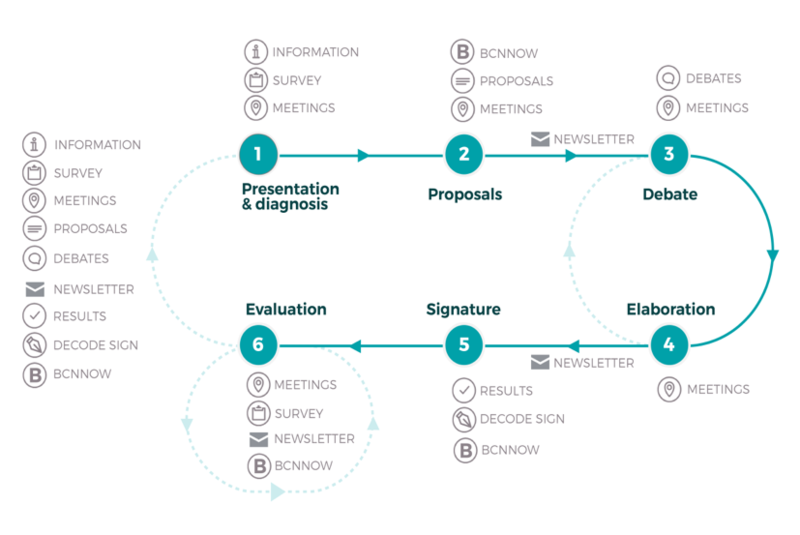 In this way thousands of people can organize themselves democratically by making proposals that will be debated and could translate into binding legislation, attending public meetings, fostering decision-making discussions, deciding through different forms of voting and monitoring the implementation of decisions (not only the procedures but also the outcomes). Coming back to our DDDC, the main aim of this pilot participatory process is to test a new technology to improve the digital democracy platform Decidim and to collectively imagine the data politics of the future. It was developed inside the European project DECODE (Decentralized Citizen Owned Data Ecosystem – that aims to construct legal, technological and socio-economic tools that allow citizens to take back control over their data and generate more common benefits out of them); it is led by the Barcelona Digital City (Barcelona City Council) and by the Internet Interdisciplinary Institute of the Open University of Catalonia (Tecnopolitica and Dimmons), in collaboration with the Nexa Center of Internet & Society, Eurecat, CNRS, Dribia, aLabs, Thoughtworksand DYNE.  to experiment with the construction and use of a data commons generated in the process, in order to improve the inclusion of the participatory process itself. The pilot project is currently in its second phase. The first 1 was that of presentation & diagnosis, dedicated to the elaboration of a brief diagnosis of the state of regulations, governance models and data economy. The diagnosis emerged from a kick off pilot presentation workshop, the DECODE Symposium, aimed to imagine possible proposal to move towards a society where citizens can control what, how and who manages and generates values from the exploitation of their data; i.e. to imagine how use digital technologies to facilitate the transition from today’s digital economy of surveillance capitalism and data extractivism to an alternative political and economic project. In this phase a sociodemographic survey was also launched to collect information about the perceptions on the digital economy and to design communicative actions to improve the inclusiveness of the process. The current phase (2) is that of proposals for a digital economy based on data commons, lunached considering the current situation of data extraction and concentration and based on the diagnosis made on the digital society in the first phase. 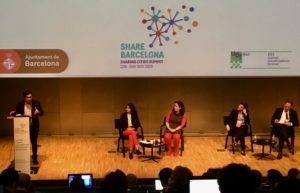 During the Sharing Cities Summit for example a dedicated meeting took place, divided into a talk and four group work sessions, one for each axes of the pilot project (legal, economic, governance and experimental – see below). During this workshop 64 proposal were collected and in the next phases they will be voted, discussed and signed. The DDDC staff underlines that the process is prefigurative since they are trying to create and practice data commons while deliberating and talking about data commons. In this phase the results of the survey on sociodemographic data were also analyzed with the aim to define, implement and experiment data use strategies for inclusion in participation (these strategies can potentially be used in future by platforms such as Decidim). The analysis is made by the Barcelona Now – BCNNOW. Phase 3 – Debate: discussion on the proposals received. 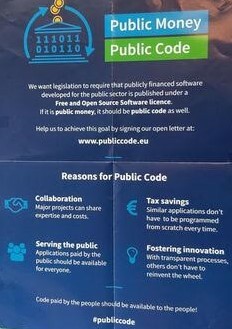 Phase 5 – Signing: collection of support for the pilot project results using DECODE technology for secure and transparent signature (based on encryption techniques and distributed ledger technologies). Crucial phase: this technology, integrated with DECIDIM, will help in the construction of a more secure, transparent and distributed networked democracy. Legal aspects, governance issues and economic topics are the three main axes followed during the different phases, since they provide a differential approach to discuss around data. A fourth axis is the experimental one, dedicated to the use and definition of collective decisions around the database resulting from the data shared during the pilot project. Il will become a kind of temporary commons useful to improve the deliberative process itself, a practice that could be incorporated in future Decidim processes. At the end of the pilot project a participatory document, with paper or manifesto around the digital economy will be released. The importance of this kind of pilot project is clear if we think to the huge amount of data that everyday every citizens is able to produce… By now we live in a “datasphere”, an invisible environment of data, quoting Appadurai, a virtual data landscape rich in information, cultural and social data. Our data indeed constitute digital patterns that reveal our behaviors, interests, habits. Some actors, especially big corporations and States, can act upon this data, can use them to surveil and influence our lives, through strategies such as ad hoc advertisements or even intervention in elections (see the case of the Cambridge Analytica or the referendum on an EU agreement with Ukraine) or generation of citizens rankings (such as the Chinese case). These “data misuses” can even influence and affect democracy. Nevertheless, if successful, the knowledge and insight created by the datasphere may become a powerful managing and intelligence tool and the debate about the so-called “datacracy” is indeed growing. In this frame, and considering the little awareness still surrounding the topic, the DDDC pilot project on the one hand tries to stir critically consciousness and common construction in this arena, on the other tries to provide the necessary tools to go in this direction, improving Decidim and pushing forward the DECODE vision of data sovereignty. 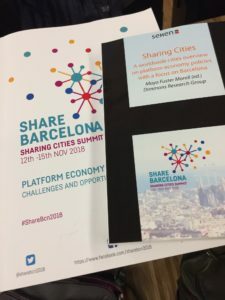 Barcelona hosted the third edition of the Sharing City Summit from November 12 to November 15, organized by the Universitat Oberta de Catalunya, The Barcelona City Council and the Dimmons research group (IN3-UOC), with the support of City of Amsterdam and City of New York, BarCola, Sharing Cities Alliance and Shareable. After Amsterdam’s first edition in 2016 and New York City in 2017 for the second one, this year’s edition in Barcelona was featured by a massive participation of cities from all around the world, exceeding the previous numbers and showing how crucial this topic has become for cities all over the world. More than 50 cities, Amsterdam, New York, Paris, Milan, Montreal, Toronto, Montevideo, Kobe, Vienna, Barcelona, Singapore, Seoul, Austin, Torino, Portland, Madrid and Valencia, among others, attended the 2018 edition. The first day of the Sharing City Summit represented an in depth moment of reflection among Mayors and Vice Mayors, together with all the actors of the sharing ecosystem (companies, nonprofits, foundations, networks, cooperatives, research centers and other actors which are reshaping the future of collaborative oriented platform economy) in order to discuss how the continuous growth of the digital economy platforms is impacting the life, sovereignty and economic development of cities. The Summit was opened by Mayo Fuster, from the UOC, as moderator, Gerardo Pisarello, First Deputy Mayor of Barcelona, Pastora Martinez, Vice Rector OUC, Udo Kock, Deputy Mayor for Finance of Amsterdam and Sonam Velani from the NYC Mayor’s Office. 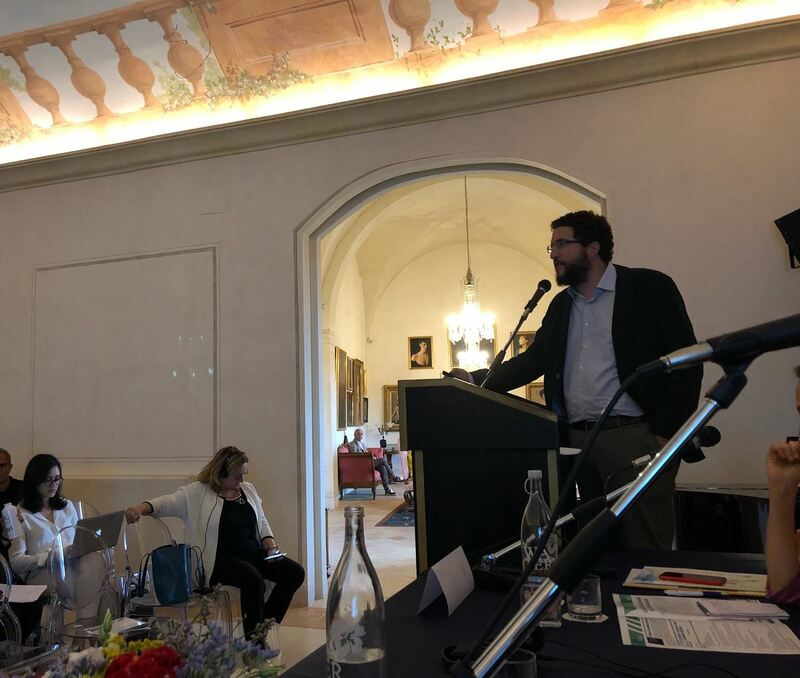 The event moved from a very clear premise: there is a radical difference between the so-called horizontal platforms – based on peer-to-peer exchanges and able to generate new forms of collaboration and mutualism among citizens -, and so-called “extractive” platforms, quoting Bauwens, i.e. platforms that often act in a non-transparent way in terms of data usage, services offered to different segments of population and impact generated in the communities. 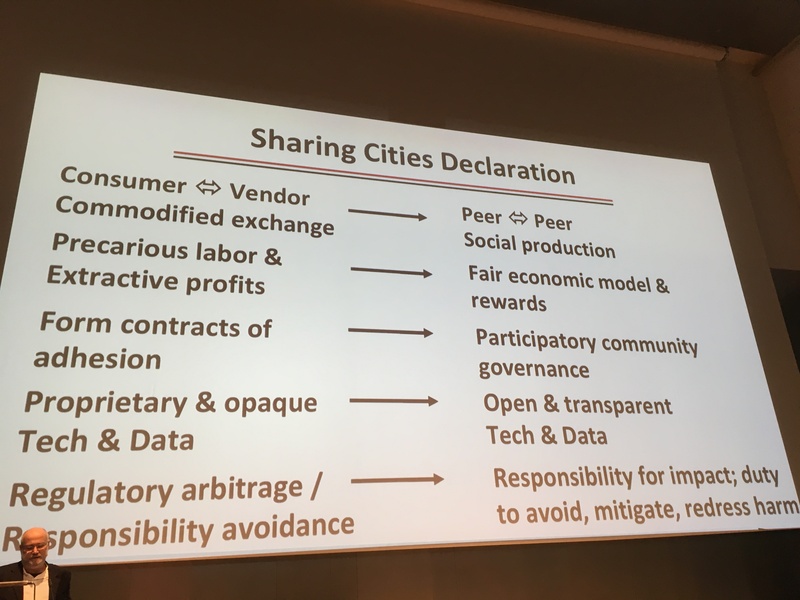 The day was therefore organized around the aim to reach common principles to tackle the phenomenon of the sharing economy, co-creating a common declaration, the so-called “Declaration of principles and commitments for a Sharing City”. In concrete, the summit focused on boosting concrete commons outcomes and collaboration measures, including: the co-creation of a set of common principles to reach a joint declaration; collaboration between cities on the regulation and negotiation with large platforms that generate disruptive impacts in the city; definition of criteria to distinguish between platforms; promotion and occupation policies on platform models inclusive and beneficial for the general common interest; and, knowledge’s policies and a sharing common data platform between cities. After Benkler’s speech, the city governments’ encounter was then moderated by Alvaro Porro (Barcelona City Council), and saw the participation of Susan Riley (Councilor of Melbourne), Þórdís Lóa Þórhallsdóttir (Deputy Mayor of Reykjavik), Matteo Lepore (Vice Mayor of Bologna), Saskia Bruines (Vice Mayor of The Hague), Im-Guk-hyun (Seoul City Council) and Gianfranco Todesco (Torino City Council). It represented a showcase of cities linked to the principles of the Declaration of the Sharing Cities, then discussed during the day through ad hoc working table and cities’ evidences. Platform models differentiation: distinguish between the different models of digital platforms regarding their functioning and impacts, in order to design public policies according to these differentiations. Public protection: ensure and support health, safety and security standards along with effective institutional mechanism in order to protect them. Environmental sustainability: promote sustainable practices less oriented on the marketization and commodification of goods than on shared, to share within the framework of a circular economy, to foster and promote development of these activities in order to reduce emissions and waste. City sovereignty: guarantee respect for the legal jurisdictions of cities given the potential disruption from the digital platforms, create a coordination mechanism and tools to support cities and encourage changes in regulatory and framework policies. Economic promotion: promote the development of local collaborative economic ecosystem, and particularly small and medium enterprises (SME, based on positive impact in cities (as described in the first principles), through entrepreneurship support programs, participative tools , funding or other promotion tools. General interest: preserve the Right to the City and Urban Commons, strengthen communities, protect General Interest, public space, and basic human rights, such as access to affordable and adequate housing. As we can see, the declaration introduces a series of “conditions” that promote the successful collaboration between city governments and platforms and touches different aspects: respect for workers’ rights, competition (especially with regard to SME), environment, current legislation, provision of services that do not discriminate by gender, age, nationality, collaboration and sharing with local authorities, fair and correct use of collected data, up to the recognition of the sovereignty of the city governments and their right/duty to preserve the common goods, the general interest, the public spaces, services and sustainable accommodation for the communities of reference. 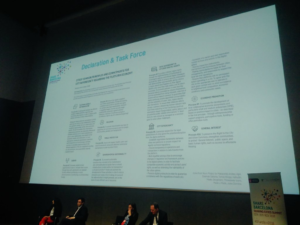 The action plan linked to the declaration consists of an action task force and structure to support the continuation for communications and collaborations between cities after the summit and until the following summit in 2019. It is a plan of concrete actions to favor the preservation of the Principles by cities, kept flexible to be further developed through the cities suggestions, active in terms of common strategies to be proposed to the European Commission to face the platforms challenges, and technological in order to share information among cities through a public platform inspired by the principles of the Open Innovation. This last aspect becomes extremely important since it is related to the power distribution between public and private sectors: the current sovereignty of the elective institutions is indeed linked to the ability/possibility to own and manage the huge amount of data – coming from citizens that use digital supports -, for public goals. The activities closed with a follow up from the working groups and with a speech of Pieter van de Glind and Harmen van Sprang of the Sharing City Alliance about the state of the art of the alliance, about the new monthly journal they created and the database Alex (Alliance Lex) that gathers information about social innovation and sharing economy. The day ended with the “Procomuns meetup”, a public event on collaborative policies for the collaborative economy, open to everyone, with institutional presentations and processes of co-creation of policies and ecosystem networking. 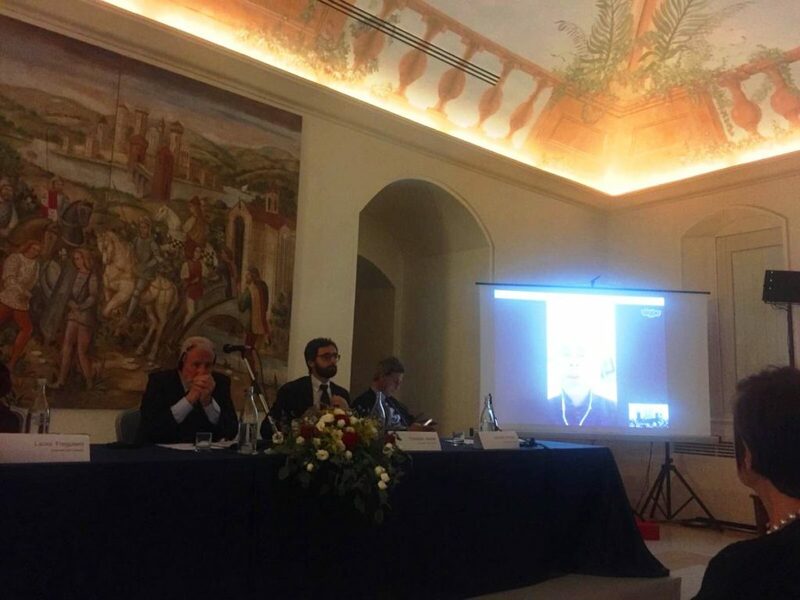 In particular it saw the institutional welcomings of Alvaro Porro who presents Innova from Barcelona Activa, Joseph Planell, Rector of the UOC, Udo Kock from Amsterdam and Sonam Velani from NYC. Then Mayo Fuster from Dimmons moderated the last session of interventions: Professor Juliet Schor from the Boston College deepened the topic of the challenges posed by the platform economy questioning if the sharing economy is disrupting of reproducing inequalities presenting the results of her research team (MacArthur); the entrepreneurship program of Communicadora was also presented with some inspirational cases (Moodle, Wikiloc, Som Mobilitat). The first day was full of inspiration and great moments of networking and led to the opening of the Smart City Expo World Congress (SCEWC 2018) the next day. 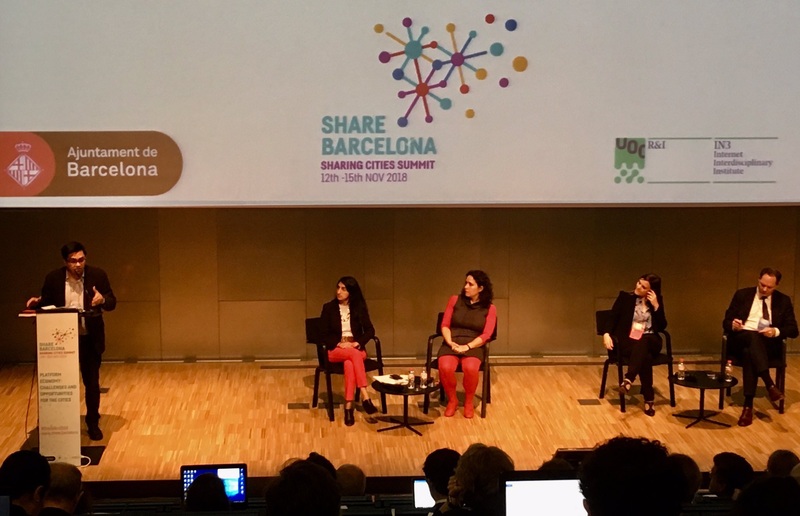 This edition gathered more than 700 cities and 21.000 participants and ShareBarcelona promoted the continuation of the Sharing City Summit during the three-days manifestation. 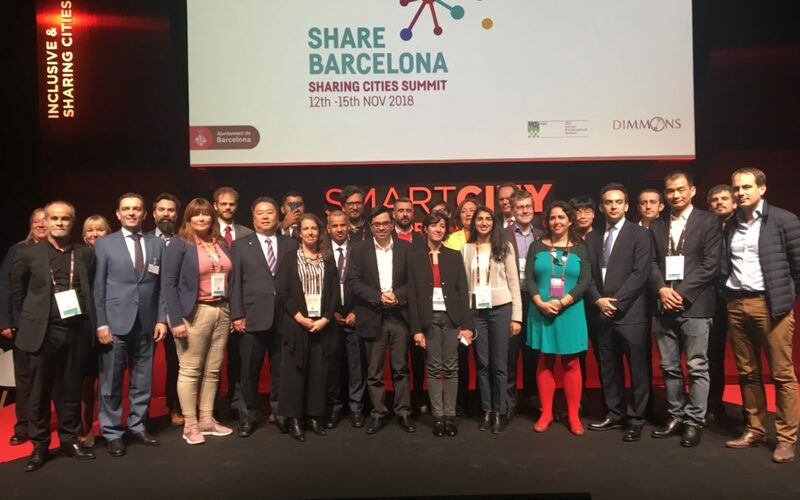 In particular, November 13 saw the public presentation of the Sharing City Declaration with mayors and vice mayors attending the Summit, an opportunity to institutionalize the declaration and to stress how the declaration is just a first important step in a common path. As said by Mayo Fuster “today is the start of a new journey”. The SCEWC saw for the first time a specific program on Sharing and Inclusive Cities that hosted several interventions and speeches from cities from all over the world, while the sharing city stand (ShareBarcelona) worked as an agora offering a rich program of encounters and talks, with the main actors of the sharing ecosystem (companies, foundations, researchers, entrepreneurs, civic society…). On November 14 was also presented the book: “Sharing Cities. A worldwide cities overview on platform economy policies with a focus on Barcelona”, edited by Mayo Fuster from the Dimmons Research Group; the book provides an overview of current policy reactions and public innovation by cities in the field, a quality balance of platforms to differentiate models and a focus on Barcelona as a reference model for its vibrant ecosystem and its innovative policies. In the last three years the number of cities reflecting and also acting to manage and integrate the sharing economy in the daily life of their citizens has incredibly grown and today a network is committed to start a common path to face the presence of the phenomenon in the urban contexts. Let’s see what will happen. Meanwhile, congratulations to all the cities that took part in this new international process. The Urban Media Lab is back to analyze the sharing economy platforms’ panorama. The scientific and public debate, in particular around the topic of the short-term rental’s impacts on urban contexts, is indeed becoming hot. Home sharing platforms are more and more dominating the tourist market especially in big cities, and Airbnb is the leading marketplace for those seeking and offering short-term housing solutions. Founded in 2018 in San Francisco, it quickly became a global phenomenon contributing significantly to the rise of the sharing economy as a new economic paradigm (Geron, 2013). Today, the platform has a network of over 3 million properties in over 200 countries worldwide, covering more than 65 thousand cities (Econopoly 2018); it reaches a market value of 31 billion dollars (Statista, 2017), thus exceeding the main hotel chains, both in terms of available rooms and in terms of turnover. But, unlike traditional tourist hospitality operators, Airbnb does not own the rooms or properties that appear in the listings, as it operates as a peer-to-peer platform that connects hosts (who offer) and guests (those looking for), allowing private individuals to earn from short-term leases through secure transactions. The platform is the intermediary to build the trust between strangers that is, as emphasized by Botsman and Rogers (2010), the true currency of exchange for this economic model. Airbnb exemplifies what Germann Molz (2011) calls “network hospitality” referring to the way in which a new generation of travelers relies on online network systems to connect with other members offering accommodation. The centrality given to the interpersonal meeting with the local hosts and the informality of the accommodation represent a reaction to the homogenization resulting from the globalization (Germann Molz, 2011) and to the “concomitant standardization” (Steylaerts and O’Dubhgall, 2011, p. 264) typical of the traditional tourist industry. Airbnb therefore responds to the search for a more personalized and “presumably more authentic” form of travel (Steylaerts and O’Dubhgall, 2011, 261). In theory. In practice this approach has quite degenerated. A recent research of the University of Pisa (LADEST) (Picascia et al., 2017) reports that today the greater part of the revenues obtained through the platform is gained by the very few multiple advertisers who rent more apartments, or by brokers and specialized real estate agencies (and not by single private tenants). The consequence is that the human dimension, the meeting with the local, the human-to-human interaction (Sans and Quaglieri Domínguez, 2016) fail and Aibrnb becomes a mere channel to promote short-term rentals, especially in urban areas (Guttentag, 2013 ; Gant, 2016). 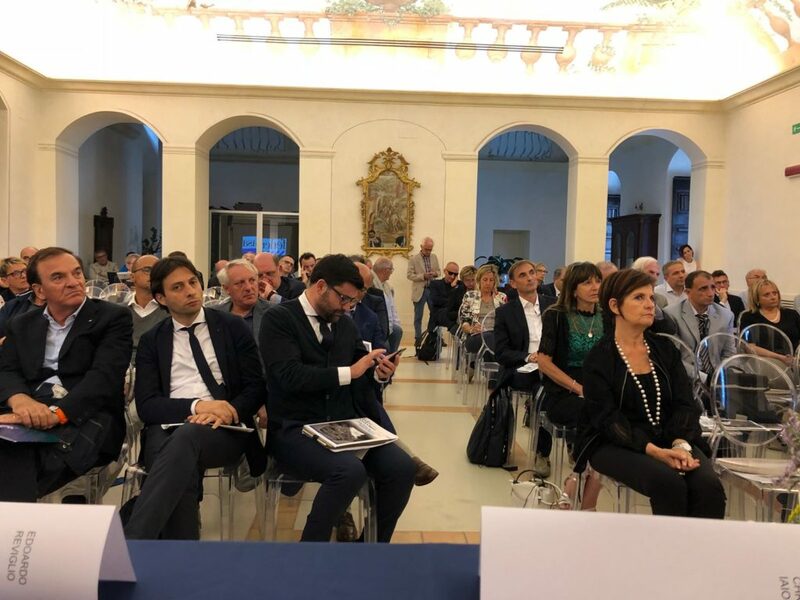 See the very famous case of Bettina: she’s not a private citizen but she represents the Halldis Italia society with 713 apartments (or villas) uploaded on the platform. Some examples from the University of Siena research: in Florence, hosts earn on average € 5,314 per year, but according to data processed by researchers, only one has collected over 700 thousand; in Milan, over four thousand owners of rented apartments earn an average of 1,600 euros a year, but only one gains more than half a million. Therefore, according to the researchers, short-term rents reinforce phenomena of social inequality and do not favor real redistribution of wealth. Residents and owners of housing solutions (Airbnb, 2015). According to the internal reports of the platform, 35% of its guests would have traveled for a shorter period or would not have traveled at all without the platform, considering that a guest stayed 2.1 times longer and spent 1.8 times more than a traditional traveler. Changing the way people travel impacts also on the choice of the neighborhood in which to stay: according to Airbnb, its guests tend to choose the neighborhoods that are less congested by the tourist presence, thus favoring greater distribution of economic impacts for the benefit of neighborhoods normally excluded from the tourist industry. According to the platform, 74% of Airbnb listings in major cities are located outside the traditional districts where hotels are located and 42% of guest-time is spent in the neighborhood where they are staying. In this way the economic flows deriving from the presence of these guests impacts on the local communities and businesses, indirectly benefiting the residents as well. Finally, Airbnb believes it contributes to the well being of its hosts, in 52% of cases with low-to-medium incomes, as the compensation earned through the platform allows additional savings and income with which to meet domestic expenses or start new business entrepreneurship (Airbnb, 2015). But the reality is quite different and the impacts of the platform’s presence are often more negative compared with those presented in the Airbnb reports. This is testified by the growing citizens protests all over in the world and by the attempts of the public administrations to fill the legislative gap intervening at the regulatory level. Indeed, according to Lee (2016), the home sharing distorts, reducing it, the offer of affordable housing for the normal real estate market, through two mechanism. The first one is a mechanism of “conversion”: each housing unit previously occupied by a dweller, and now included in Airbnb’s listings, is a unit removed from the long-term rental market and added to the local hotel offer, resulting in an increase in the rental price, in particular in the most central districts of the cities. The “hotelization” is the second mechanism: as long as the owner or the tenant has the possibility to rent a room on Airbnb at prices lower than those of a hotel room, earning a considerable premium on the residential market, there is a strong incentive to upload housing units on the platform rather than renting to local residents, creating the so-called “hotel cottage” effect. 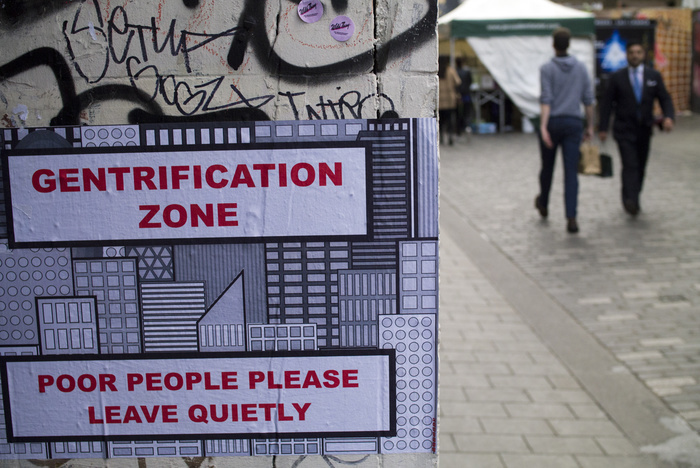 The offer of long-term rentals is reduced, encouraging the relocation of residents to another district and thus encouraging gentrification and segregation processes (Guttentag, 2013; Ball et al., 2014). Dwellers struggle to find long-term rentals or affordable housing solutions, and in addition they clash with a significant increase of the services cost, due to the growing presence of tourists that push business owners to raise prices (Gant, 2016). Besides these effects of gentrification we can observe also the intensification of the so-called “disneyfication effect”. The massive tourist flows, nowadays favored by short-term rents, risk to transform the historical centers, especially Italian ones, from key places of local cultural and political life, into real consumption citadels. “A city in the city outside the city itself, where the distance between the center and the periphery is more marked than in the past” (Mammone, 2017). 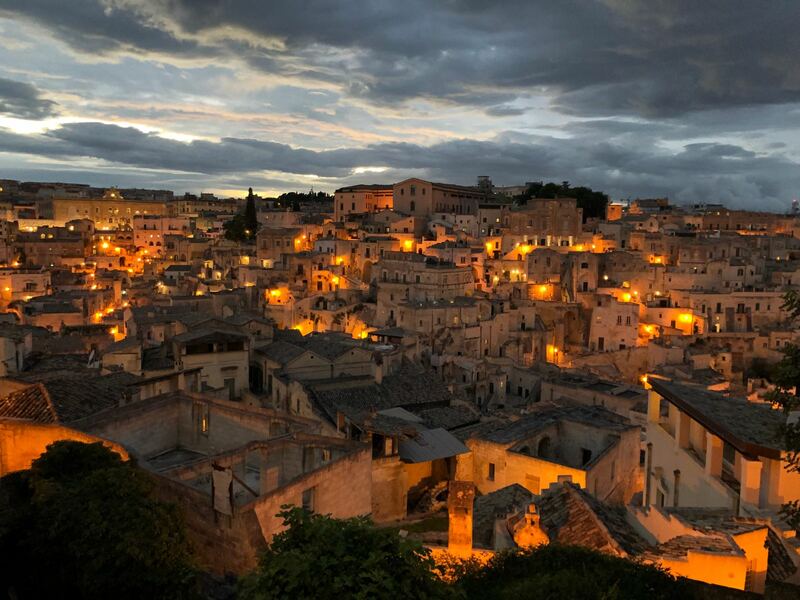 This effect is also confirmed by the aforementioned research by the University of Siena, according to which the uncontrolled flows of tourists affects the identity of the city, reinforcing the risk of social desertification of historic centers (Semi, 2015). In this process the “local life” is marketed, sold as an added value to the rental of the accommodation (Sans and Quaglieri Domínguez, 2016, Warren, 2016) and the identity of the district erodes and changes. This situation has the double effect of determining, on the one hand, the expulsion of the weaker classes (the low income renters) from their neighborhoods of historical settlement, as in the case of the center of Naples and Florence for examples, and on the other hand to incentivize the unlimited indebtedness of the middle class. How to counteract these processes? Your guests may not cause a disturbance to local residents. 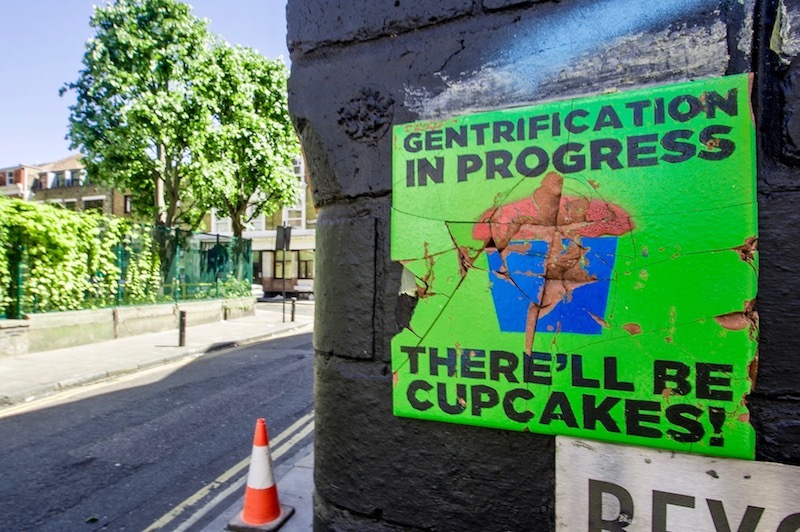 “Airbnb threatens the soul and identity of a number of neighbourhoods. We cannot remain inert in this situation. All the big cities of the world are facing this problem. If we do not regulate Airbnb, we will no longer have inhabitants in our city centers. Do we want Paris to be a city which the middle classes can afford, or do we want it to be a playground for Saudi or American billionaires?”. In Berlin the Airbnb Law “Zweckentfremdungsverbot” basically established that owner-occupiers can, under certain conditions, rent out their own home as much as they want, and rent out second homes for up to 90 days a year. Owners need a permit if they rent 50% or more of the total area of the main residence for a short period, i.e. on a daily or weekly basis. But the law also establishes that it is not allowed to rent out apartments to tourists or travelers that should be available or actually were available for regular tenants before. If an apartment used to be a regular long term rental apartment, then it shall be used as a regular long term rental apartment. In London despite the 90-day cap on listings the Airbnb’s market share nearly tripled in 2017, jumping from 2.8 to 7.6 per cent of overnight stays (as demonstrated by a study from property services company Colliers – also based on scraped data, from commercial analysts AirDNA). 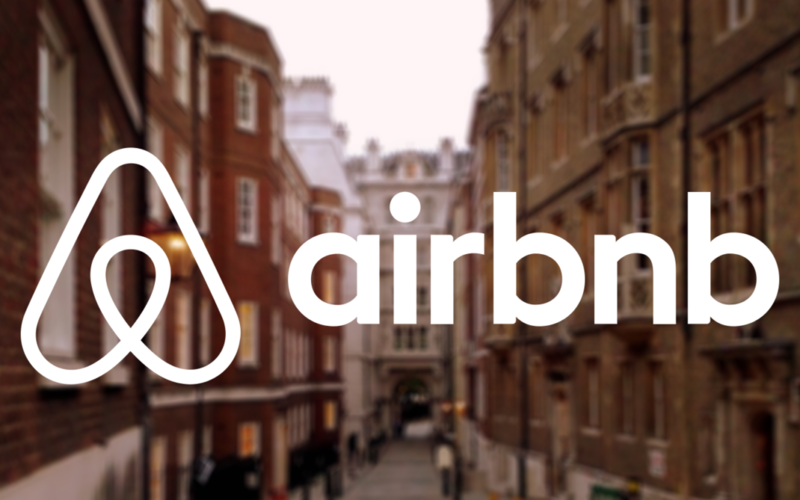 The UK Government introduced the law to make illegal the short-term residential properties that overcome the 90 nights per year in 2015 and in response Airbnb introduced an “automated hosting limit”, which blocks out a host’s calendar for the year once they have reached 90 days of rentals for a single property. Nevertheless the risk that a host can change the name of its listing or use another platform after reaching the 90-day limit still remains. Barcelona is one of the European cities where the fight against Airbnb is growing fast. In May 2018 the city told the site to remove 2,577 listings that it found to be operating without a city-approved license, or face a court case potentially leading to a substantial fine. In June, Airbnb and the city launched a new agreement that gives Barcelona officials access to data about what’s being listed around town. So for the first time a city council will be able to track the hosts ID numbers and verify if they have permission for their listings. In addition the municipality addresses the tourists, asking to make sure that the property they rent is properly licensed first. Also in the native place of the platform, San Francisco, many problems are raising and in 2014 the “Airbnb Law” was approved. The law regulates short-term rentals, limiting the activities of the hosts who, in order to use the platform, must be permanent residents of the city and duly registered in a commercial register; in addition: the accommodation as a whole cannot be rented for more than 90 days per year, and the host is obliged to pay a fee and be insured against any liability. New York too is struggling to manage the presence of Airbnb and a recent law foresees that you cannot rent your entire apartment for stays of less than 30 days; in addition Airbnb have to provide names and addresses of those who rent a house in the city. Looking to the other side of the globe, Japan has established a country law that limits hosts to respect some rules: a maximum of 180 days per year, the homogenization to fire and earthquake emergency regulations, registration with the competent authorities. By now the government has requested to delete all the listening of “irregular” hosts. At the local level, Kyoto allows short-term rental only from January to March (low season) and Tokyo has adopted measures at the level of individual neighborhoods to contain the phenomenon. To conclude, the growth of short-term rentals is closely tied to the broader financialisation of housing that makes housing a commodity, erodes the neighborhood identity, attracts new investors for buying or developing more and more units, which in turn increases the scarcity of housing, prompts landlords to raise rent, threatens community bonds and stretches neighbourhood services. The spread of this type of rent opens the way to an expansion without limit of processes of marginalization and social indebtedness. Is this the “Urban era” announced by Henri Lefebvre? Is the process of urbanization of the population and the consequent transformation of humanity into an “urban species” really bringing to a “total urbanization” of the world? 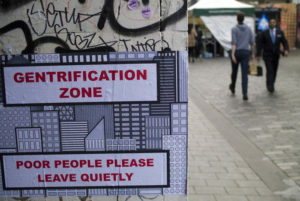 It seems that the urban age resulting from the neoliberal globalization is assuming the aspect of the “total financialisation” of the planet theorized by Lefebvre. Trying to find tools to contrast these phenomena of touristification, gentrification and disneyfication, is a task of all the public administration that want to fight against the desertification of the city’s social tissue and support the wellbeing of their citizens. Ball, J., Arnett, G. e Franklin, W., 2014, “London’s buy-to-let landlords look to move in on spare room website Airbnb”, The Guardian [https://www.theguardian.com/technology/2014/jun/20/buy-to-let-landlords-leasing-properties-airbnb-uk]. Botsman, R., e Rogers, R., 2010, What’s Mine Is Yours: How Collaborative Consumption Is Changing the Way We Live, Harper Business, New York. Costa, e Martinotti, G., 2003, “Sociological theories of tourism and regulation theory”, in L.M. Hoffman, S.S. Feinstein, D.R. Judd (a cura di), Cities and Visitors, Blackwell, Malden, pp. 53-71. Econopoly, 2018, “Mi ospiti nel tuo appartamento? Gli effetti di AirBnB sulla città turistica”, Il Sole 24ore [http://www.econopoly.ilsole24ore.com/2018/03/29/airbnb-effetti-citta-turistica/]. Statista, 2017, Airbnb, Statista, New York [https://www.statista.com/study/24578/airbnb-statista-dossier]. Gant, A. C., 2016, “Holiday Rentals: The New Gentrification Battlefront”, in «Sociological Research Online», 21(3), pp. 1-9. Germann Molz, J., 2011, “CouchSurfing and network hospitality: ‘It’s not just about the furniture’”, in «Hospitality & Society», 1 (3), pp. 215–225. Geron, T., 2013, “Airbnb and the unstoppable rise of the share economy”, Forbes, [http://www.forbes.com/sites/tomiogeron/2013/01/23/airbnb-and-theunstoppable-rise-of-the-share-economy/]. Guttentag, D., 2013, “Airbnb: disruptive innovation and the rise of an informal tourism accommodation sector”, in «Current Issue on Tourism», 18(12), pp. 1192-1217. Lee, D., 2016, “How Airbnb Short-Term Rentals Exacerbate Los Angeles’s Affordable Housing Crisis: Analysis and Policy Recommendations”, in « L. & Pol’y Rev», 10, pp. 229-255. Mammone, L., 2017, “Cultura: la desertificazione dei centri storici italiani e il fenomeno delle sponsorizzazioni dei beni culturali. A chi giova?”, LaRiscossa [http://www.lariscossa.com/2017/02/24/la-desertificazione-dei-centri-storici-italiani-ed-fenomeno-delle-sponsorizzazioni-dei-beni-culturali-cui-prodest/]. Picascia, S., Romano, A., Teobaldi, M., 2017, The airification of cities: making sense of the impact of peer to peer short term letting on urban functions and economy, Proceedings of the Annual Congress of the Association of European Schools of Planning, Lisbon 11-14 Luglio 2017. Sans, A.A. e Quaglieri Domínguez, A., 2016, “Unravelling Airbnb: Urban Perspectives from Barcelona”, in A.P. Russo, G. Richards (a cura di), Reinventing the Local in Tourism: Producing, Consuming and Negotiating Place, Channel View Publications, Bristol, pp. 209-228. Semi, G., 2015, Tutte le città come Disneyland?, Il Mulino, Bologna. Steylaerts, S. e O’Dubhghaill, S., 2011, “CouchSurfing and authenticity: Notes towards an understanding of an emerging phenomenon”, in «Hospitality & Society», 1 (3), pp. 261–278. Among others see http://labgov.city/thecommonspost/the-city-the-commons-the-flower/; http://labgov.city/thecommonspost/city-mayors-worldwide-forge-alliance-in-response-to-airbnb-uber/; http://labgov.city/thecommonspost/sharing-economy-between-market-and-human-rights/.